Female chorus could range from 0 to 4 and male chorus could range from 0 to 4. Part Americana, part magic realism, part coming-of-age, Harrison, Rebekah and Jacob have written a show that is all heart. A familiar chapter of history rendered with imagination and haunting originality. 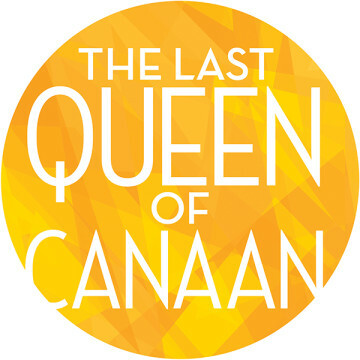 The Last Queen of Canaan has been developed as part of New York University’s Graduate Musical Theatre Writing program (2011), Rhinebeck Writers Retreat (2011), the Yale Institute for Musical Theatre (2013), Northern Stages’ New Works Now Series and Theater Latté Da’s NEXT: New Musicals in the Making Series (2015). It was a recipient of a Writers Residency Grant from NAMT’s National Fund for New Musicals. The Last Queen of Canaan contains elements of magical realism: the dead are raised, the land holds protective powers and a ninety-two year-old woman works with the strength of someone half her age. From 1936-38, the Works Progress Administration (WPA) sent a diverse group (male, female, white, black) of unemployed writers to collect the stories of former slaves. The transcripts from the Federal Slave Narrative Project can be found in the Library of Congress – we used these accounts as research, but our story is fictional. Jacob Yandura and Rebekah Greer Melocik began the show in 2011 (originally titled “Dogwood Days”), and the show has undergone many drafts and significant changes in the past four years. Harrison David Rivers joined the team as bookwriter in 2014. Though our show is a period piece, the score is not pastiche. Just as the themes are relevant to America's current civil rights struggles, the sonic world of The Last Queen of Canaan is contemporary, living in folk, R&B and gospel. We are looking for a workshop or first production.